A good book with novels set in Barcelona. On the way to Barcelona for a city trip? Here are good ideas of fiction books that will take you into the atmosphere of one of the best cities in Europe to visit. That book features about twenty novels which capture the reality of Barcelona life and society in the seventies. "He had a beer on Plaza Real, and pined after the long lost tapas that used to be the speciality of the most crowded bar in the neighbourhood – squid in a spicy black pepper and nutmeg sauce … Carvalho knew these people and their ways. They made him feel alive." How do you travel from one monument to another ? There's a lot to do in Barcelona, from cultural activities to just relaxing in the cafes and the bars. Tha'ts if you're not spending the whole day by the beach of course. If it is your first time in Barcelona, you may want to try the touristic bus, which is nice but won't be able to take you to the Gothic cathedral (see photo below) as it is in the middle of a pedestrian area. You can also easily find your way around by tube but when the weather is looking good, which is most of the time in Gaudi's city, then travelling outdoors is definitely your best option. Unfortunately you can only get a city bike Bicing if you are resident in Barcelona, so you will have to rent a bike or anything else for that matter from a tourist rentals shop or try to book a city tour through airbnb : One way ride from Park Guell to the Rambla in style ! Go for a Ride in Historic Barcelona on an Electric Scooter ! Hello everyone, this is to let you know that you can now book online your spot to ride an electric scooter in the center of Barcelona. Ready to discover one of the most interesting city in Europe ? Then choose : Morning or end of afternoon. The ride lasts one hour and a half, sometimes a little more. The whole thing is pretty easy, at least less exhausting than walking around for miles. You've got to try it, it's the perfect activity except when it's raining. But then again, that is pretty rare in Barcelona. A lot of fun hopefully, and views of the Vicens house, the Sagrada Familia by Antoni Gaudi, the (spanish) Arch of Triumph, a couple of other places you will like and the marina (see photo above). For more information, please refer to the airbnb listing. See you soon in Barcelona ! 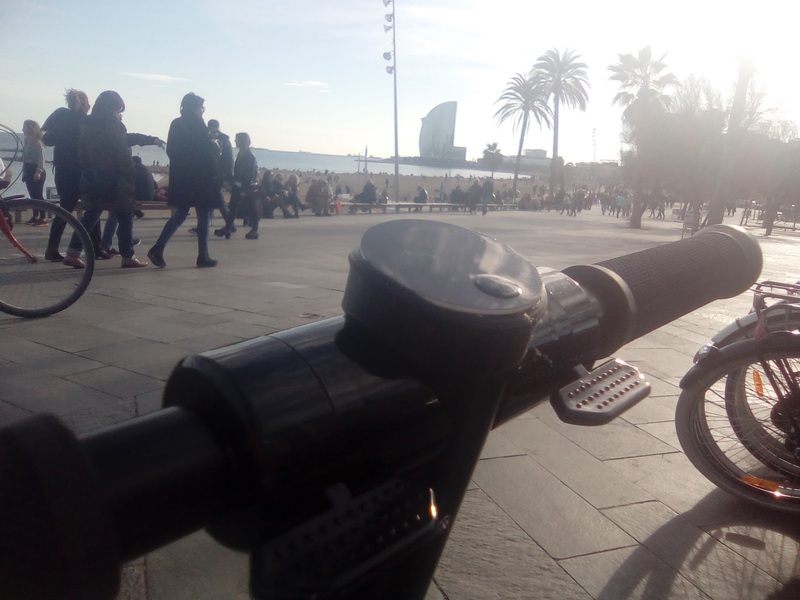 Prêt pour découvrir Barcelone et envie d'essayer une de ces nouvelles trottinettes motorisées super légère ? Sur Airbnb on peut réserver des activités en plus de réserver un logement. Ce nouveau service s'appelle Airbnb Experiences. C'est super populaire dans les villes ou c'est disponible. Une activité facile car il vous suffit de vous laisser porter par votre engin à la vitesse des piétons..
Tout le monde peut le faire, les mineurs à partir de douze ans sont aussi acceptés sous la responsabilité du ou des parents. 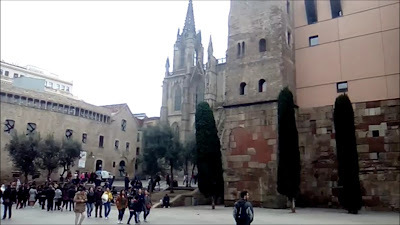 La visite passe par le centre-ville : Maison Vicens, Sagrada Familia, Arc de Triomphe (en photo) , Place Catalogne, Cathédrale Gothique et Rambla. Réservez cette expérience airbnb maintenant !